The New Zealand School of Dance offers professional training to exceptionally talented young people in an inspirational environment. Our vision is to produce exceptional classical and contemporary dancers. We are committed to being a leading professional dance training institution in the Asia-Pacific region. The School is based in New Zealand’s capital city, Wellington – a rugged harbour city renowned for arts and culture and its vibrant creative atmosphere and weather. The NZSD celebrates the physicality of New Zealand’s landscapes and people through dance training. Our graduates are strong, versatile and athletic dancers. Coming from the edge of the world, their adventurous spirit guides them to exciting dance careers both at home and around the world. 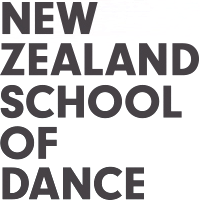 The New Zealand School of Dance is well connected to the dance community through secondments, visiting guest teachers and choreographers, competitions, conferences, professional networks and the ambassadorial role of its graduates. "Garry Trinder, the director of the New Zealand School of Dance, has been quietly and efficiently creating an environment conducive to steering dancers through the rigors of the highly disciplined and intense training regime that creates superb technicians. He has achieved this while maintaining the equally important balance that comes from nurturing the dancers’ spirit and honing their artistry. The outstanding success of many School of Dance graduates is a testament to his skill."